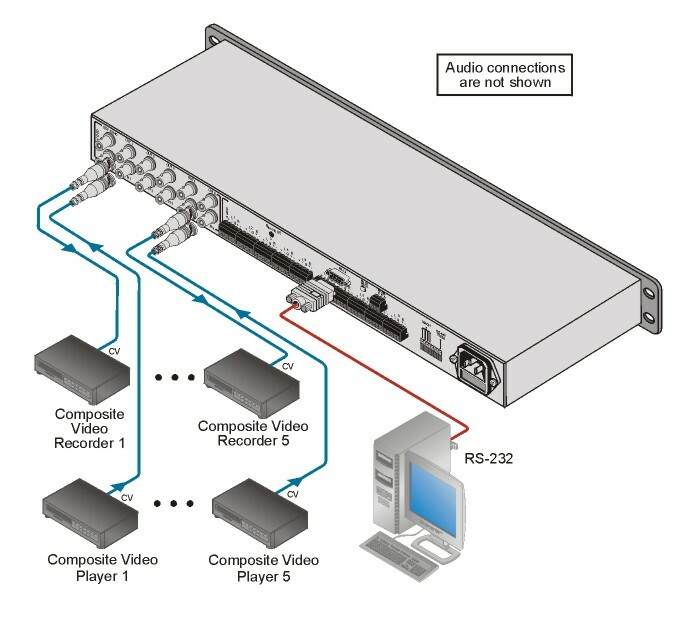 The VS-5x5 is a high-performance matrix switcher for composite video and balanced stereo audio signals. Switching during the vertical interval ensures glitch-free switching with genlocked sources. Control - Front panel, RS-232 (K-Router Windows-based software is included), & RS-485, IR remote (included).